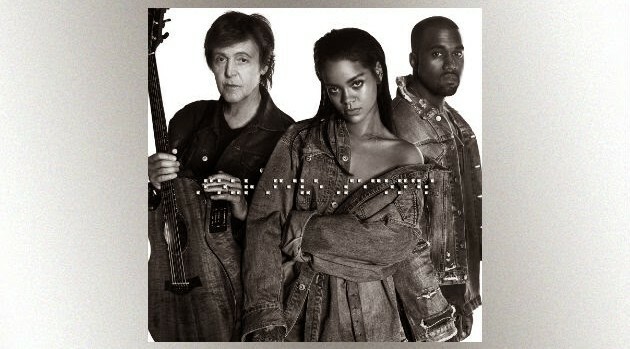 Rihanna has shared a brief glimpse of the the completed video for “FourFiveSeconds,” her collaboration with Kanye West and Paul McCartney. In the 15-second teaser, posted on her Instagram page, a silhouetted Rihanna wears a vintage Sean John denim jacket while belting lyrics to the acoustic song against a white backdrop. The Inez and Vinoodh-directed clip will debut in coming days.